The solar road stud has become an important traffic safety facility in our daily life, and the consumers may pay more attention on the quality and practical performance of the solar road stud, such as the waterproofing rate and the heat and cold resistance. There is no doubt that the environment takes great influence on the practical performance of the solar road stud. The normal working temperature of the ordinary batteries is between 0 to 50 degrees centigrade and the cycle index can be 500. In summer, the temperature of the ground in some countries can be around 60 degrees centigrade, and it is quite normal that the lowest temperature in Northeast China would be minus 30 degrees centigrade in winter. However, both high and low temperature are harmful to the working condition of batteries, which will reduce the service life of batteries, and have influence on the life span of solar road stud. So the battery with good heat-and-cold resistance should be chosen to prolong the using life of solar road stud. The customized products of NI-MH with good performance in heat-and-cold resistance battery of NOKIN can be applied in the temperature between minus 30 to 70 degrees centigrade. After 1,000 times’ charge and discharge, the battery still has 79% of its capacity. 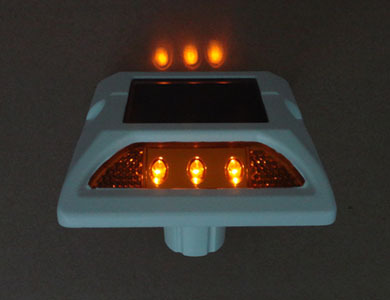 And for solar road stud, it charges in daytime, and discharges at night, which make up a charge and discharge cycle. The service life of the solar road studs of NOKIN can be over 3 years. Read:How to Choose a Good Solar Road Stud? 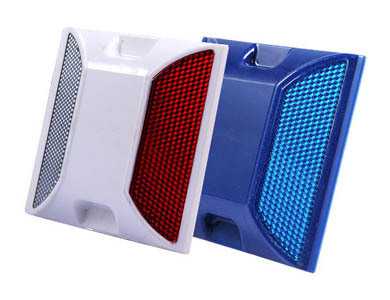 We are a professional manufacturer of traffic safety facilities. Our road studs have been exported to Middle & South America, Middle East, East Europe, Southeast Asia, Africa, etc. We have our own laboratory, professional tests for products, constantly optimize the product performance to meet the needs of customers.